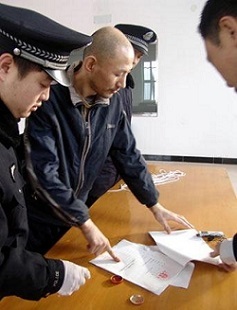 Chinese serial killer Gong Runbo was executed on this date in 2006. Runbo’s Jeffrey Dahmer-like hidden life had been exposed that February when a boy escaped from sexual assault his house in Jiamusi and called the police. The ensuing search revealed remains rotting on Gong’s bed that would be identified with four missing children — Wu Shutian, 10, Ma Qianli, 10, Bai Jinlong, 15, and Jiang Fuyuan, 12. DNA tests revealed at least two other victims besides, but his true body count might have run towards 20. Outrageously, it had transpired that local police had slow-walked reports of missing children in the vicinity for fear of creating a public panic — permitting the murderer months of extra time to operate. “Sadly, six kids may have died because of our failings,” said a Ministry of Public Security spokesman.